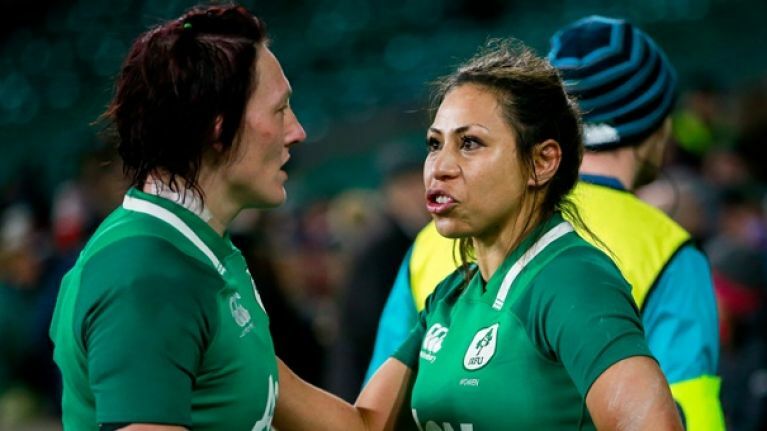 Ireland Women's Head Coach Adam Griggs has named a 29 woman squad ahead of this weekend's pre-Six Nations warm-up game against Wales at Energia Park in Donnybrook. Linda Djougang, Anne Marie O'Hora, Hannah O'Connor and Claire Boles, Kathryn Dane, Claire Keohane, Ailbhe Dowling and Enya Breen have all been included in Grigg's squad with the Ireland Women's team set to get their Six Nations campaign underway against England next month. Griggs has said that the players have been working hard over the winter break and that the Six Nations warm-up games will be a good chance to trial some new talent. "We have had two very productive training camps since Christmas and the players have been working hard to make sure we carry on from the good performance we had in our last autumn international against England in Twickenham. "While we didn't get the result we were after in that game the players took a big step in terms of their development and now have a feel for what is required at international level. "It's great to get a warm up fixture for the Six Nations of this quality where we will be able to try out some new combinations and really test ourselves in what we have been doing in camp together. "We are missing some key players who are unavailable to us due to injury which is unfortunate and not ideal at the start of the Six Nations, but it is a chance to give some very talented new faces an opportunity to put their hands up and show us they can compete at international level."